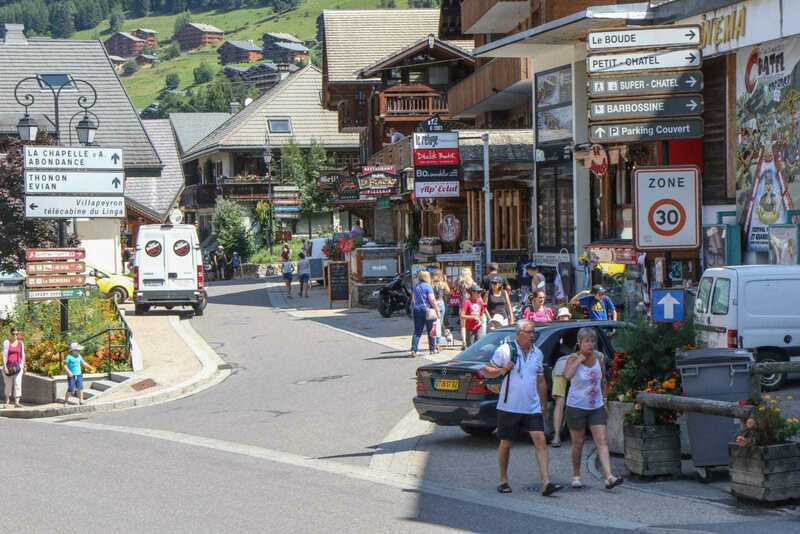 For an easy morning exploring the village and the nearby hills, stroll for 10-15 minutes into the centre of Châtel. 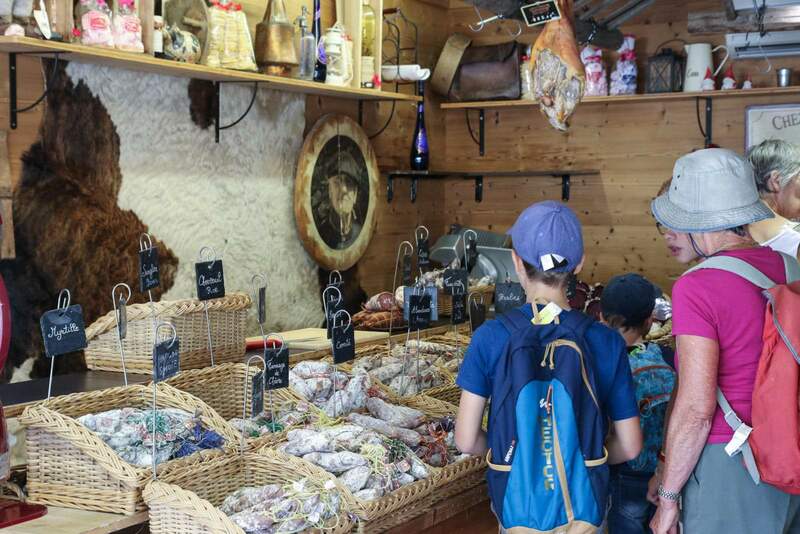 Visit the craft shops as well as the boulangerie and charcuterie to stock for lunchtime. Use your MutiPass to take the Super-Chiatel gondola up the mountain. 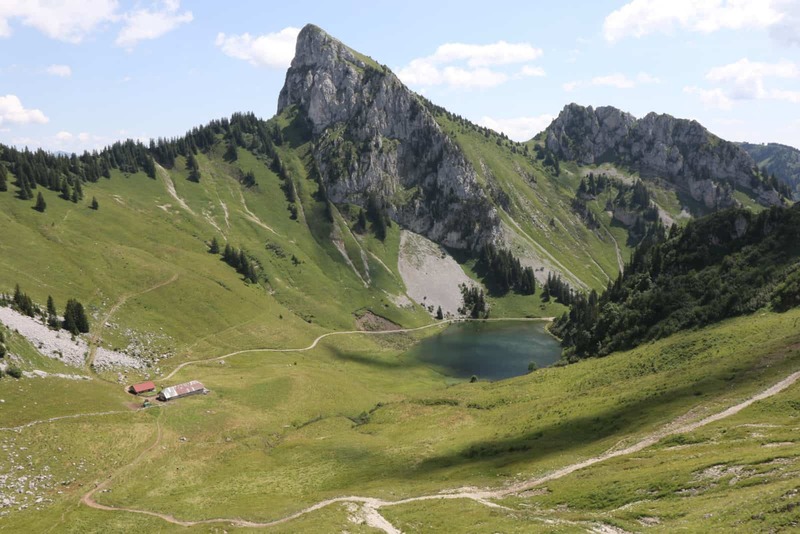 Follow the path on uphill for about 15 minutes for a picnic at picturesque Lac de Conche. After lunch continue on up, passing Chalet des Conches on your left, and bear right as you meet the road. After ten to fifteen minutes you will arrive at the restaurant Chalet Neuf. Enjoy the views or explore a little more before retracing your steps. For a more energetic day, turn left as you exit the top gondola station. Ahead is the Adventure Park, an obstacle course hung from the trees. It can take several hours and it's not as easy as it looks! Explore further from the top of Morclan above you. Either take the chairlift up to the summit or walk up from Lac de Conche. From the top you can follow many trails, along the ridge or into the Barbossine bowl. They ultimately lead down into Petit Châtel, just above the chalet. Alternatively walk back down to Lac de Conche for a refreshment on the terrace at L'Escale by the gondola. Enjoy some great mountain biking. 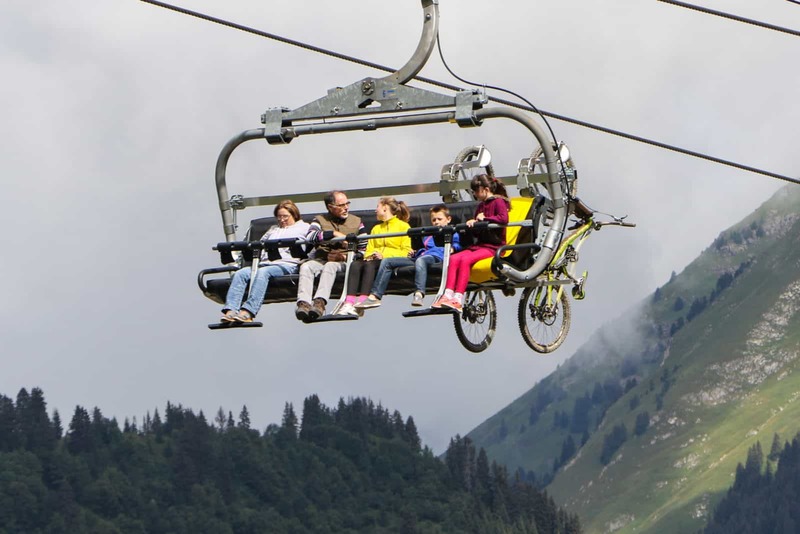 Hire mountain bikes in Châtel and drive the 6km to Pré-la-Joux (about 30 minutes by bike). Take the Pierre Longue and Rochessons lifts and head over the mountains into the Lindarets bowl. 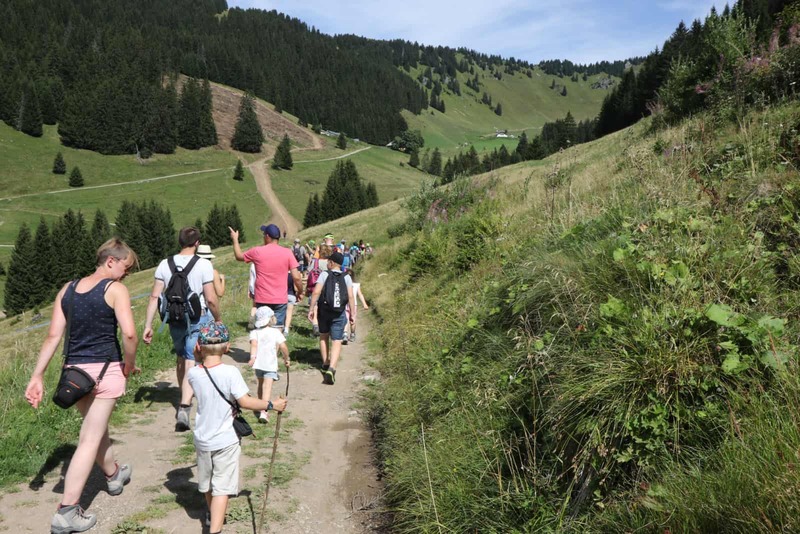 Make the most of the many trails before heading north west towards Ardent for lunch at the lovely restaurants of the Village des Chèvres (Goat Village). Return by the Chaux Fleurie lift and enjoy the huge variety of runs down the mountain. Remember to wear appropriate cycling gear! Cool off in one of the bars in Plain Dranse or at Pré-la-Joux. An easy bike ride is along the banks of the River Dranse, from Châtel to La Chapelle. Not far and perfect for younger ones. To avoid bikes altogether spend the afternoon walking up to Point d'Autigny from Abondance. Drive to a small car park (Google maps: 46.298457, 6.749916) above the village. Walk uphill and west through the col to the Chalets d'Autigny for refreshments before or after taking in the panorama from the summit ahead. Le Fer de Rouge in La Chapelle is worth a stop for drinks or a relaxed evening meal. Outdoor seating, craft ale and good food. Perfect! Spend the day walking up to Lac d'Arvouin and the huge cliff-lined mountains behind. Drive into the hills behind La Chapelle to the small car parking area at the start of the trail (Google maps: 46.305787, 6.818724). Follow the track west and then north across meadows and on up into the mountains. Walk around the lake and up onto the high pastures which make a lovely spot for a picnic. Return the same way or make a circuit by climbing Point d'Arvouin and descending back to the lake on the other side of the peak. Spend a more historical day at the outdoor events and pageantry held on summer Tuesdays at the Abbaye d’Aulps near St. Jean d’Aulps, about an hour's drive from Châtel. The abbey also boasts a medieval monestary, garden and tea room. It is a pleasant drive on the windy roads over the Col du Corbier and into the neighbouring valley. Once there you are close to the pretty Lac Montriond. Great for flat walks and watersports. 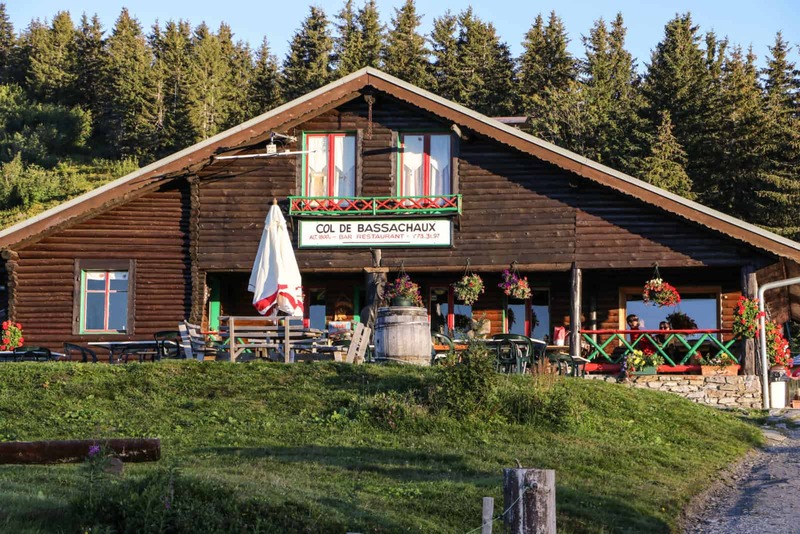 For some evening mountain scenery, try dinner by candle light at Haute Bise at the Col de Bassachaux (Google maps: 46.222778, 6.772083). Drive past Pré-la-Joux and up to the top of the pass. 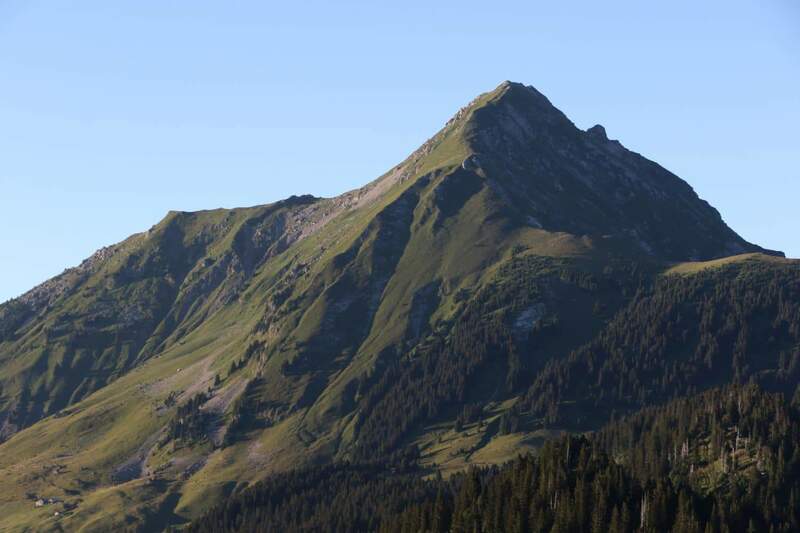 This is a lovely walk for a sunny day, up the highest mountain of the area, Mont de Grange. Worth starting early! Drive to the small car park by the 1861 Châtel Hostel on the road to Pré-la-Joux (Google maps: 46.2503206, 6.8104046). Walk up the road opposite, past the small church, and take the right hand fork. The walk continues steeply before reaching an alpine meadow. After re-entering the forest, follow the sign towards Cornillon (if time permits, the adventurous can push on to the summit). Head back down into the valley, returning to the point where you started. Stop off at 1861 for a refreshment on the way home! For a less energetic start to the day, visit Châtel’s weekly village market, held below the church every Wednesday from 8.30am. Spend the afternoon in nearby Morgins. There is a lovely walk through the forest at the top of the village (near the stables) which ends up at the Cantine de They. For a whole day out, visit Chateau Chillon, near Montreux, about an hour's drive from Châtel. If you still have time, travel into Montreux and ride the Rochers-de-Naye funicular above the town high into the Swiss Alps. 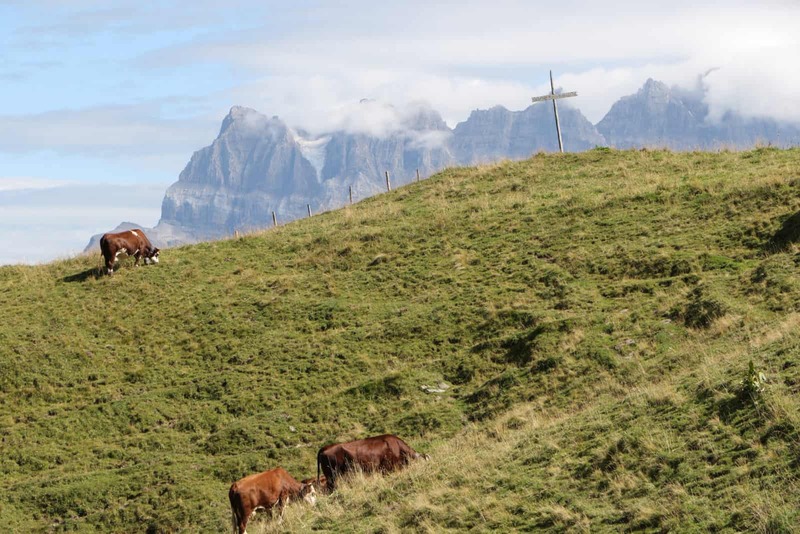 Book a guided walk with the Tourist Office to see the ‘world famous’ Abondance cheese and cows. It is a good ramble, suitable for active children. Do bring some water as it is a good hour and a half up to the farm. A rustic lunch is served at the chalet (including cheese!) but not before you see the cheese cellar and meet the cows. There is more fun to be had in the afternoon at Pré-la-Joux. Slide down the Bob Luge and career down on the Dévalkarts. Great fun for all. For more adrenaline, buy a ticket on the monstrous Fantasticable, a zip wire stretching across the mountain tops above you. You can even go tandem! To laze about and let the kids run around, an alternative idea is the water park, La Plage de la Beunaz, near Bernex. It's about 45 minute drive and will keep the family well entertained for the day. An easy dinner option on returning to the village is to drive up to La Folie des Neiges, half way up the mountain from Pré-la-Joux at Plain Dranse, by the top of the Pierre Longue chairlift. You are in for a great night if Mikael and his Accordion is there too (often on Thursdays)! There is a lovely walk up the valley and through the trees from Morgins, five minutes away just over the Swiss border, which takes you gently up to the Cantine de They. 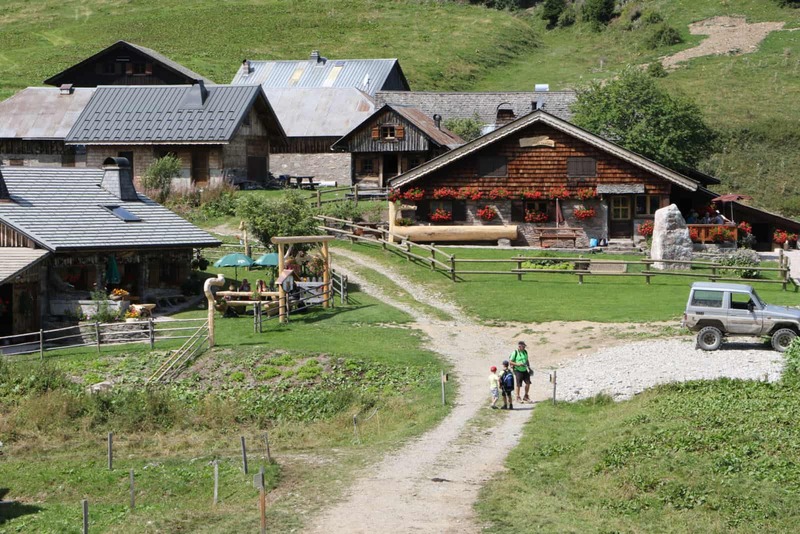 Also in Morgins are the stables of Le Ranch de Morgins who offer a range of activities including guided rides into the mountains. 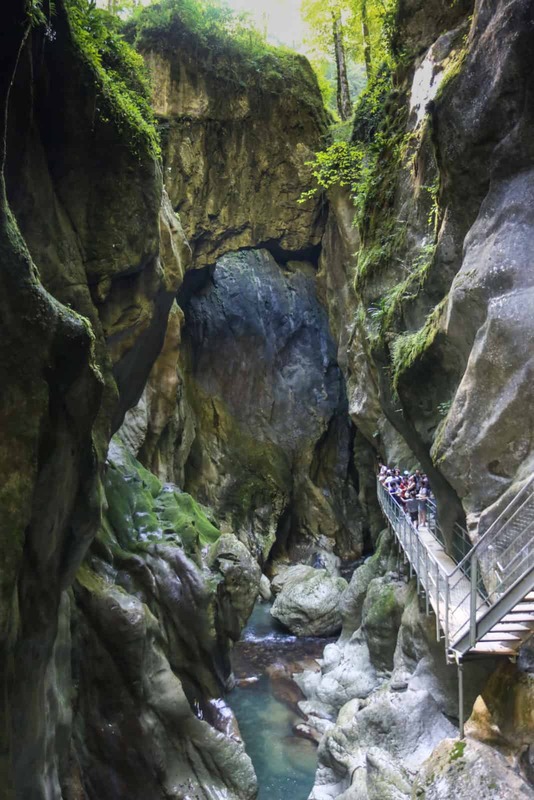 Les Gorges du Pont du Diable, situated a litte outside Abondance, offers a cliff hanging walk deep down into a cave-like ravine cut away by the River Dranse. The walk is guided, in French and English, and will easily take a couple of hours. For a final dinner where better to sit with a glass of bubbles than on the west facing chalet terrace beside the garden and hot tub, overlooking the mountains and sunset. We are happy to arrange wine and fresh, ready-to-heat catering if booked in advance of your stay.